The future of vine suckering! 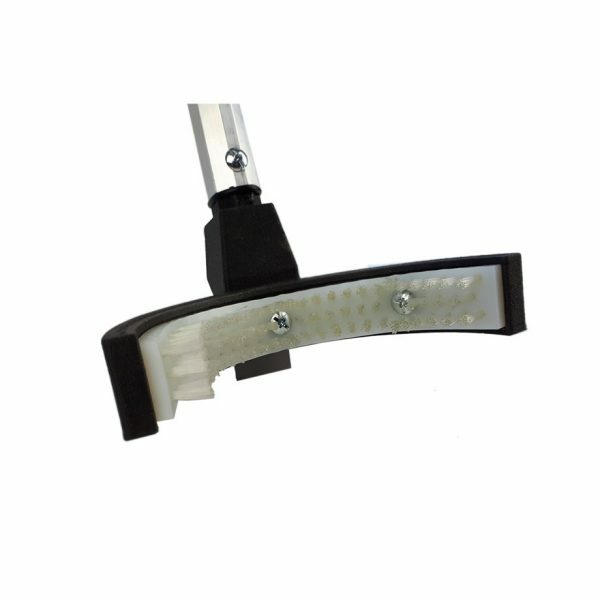 Felton’s CurVbrush improves vine suckering speed by up to 40%! 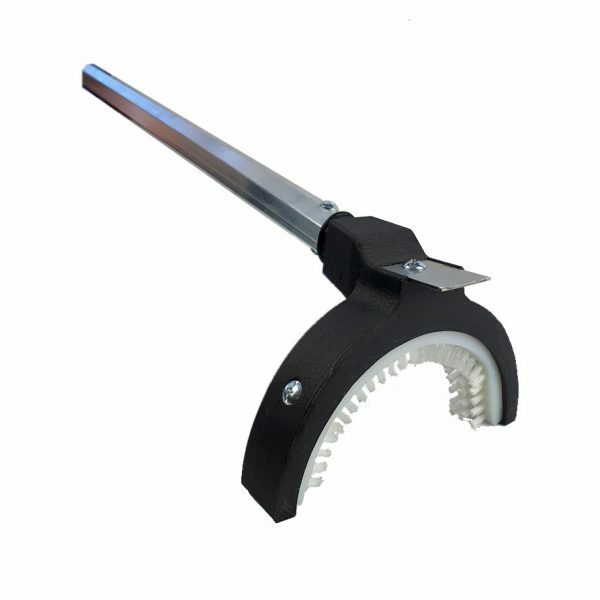 Sturdy, lightweight, 48” aluminum octagonal shaft allows for an easy reach, eliminating the health and safety risks associated with bending over and crawling to sucker the vine. The CurVBrush comes from an inventor with 25+ years in the Okanagan Valley wine industry, and the brush is proudly made in Canada. Average life expectancy for the brush is based on customer experience is 25-35 acres. CurVBrush is a patented-break through in vine suckering technology that optimizes efficiency, cost, and safety. This results in greatly reduced costs associated with labour for the grower, as well as a greatly reduced occupational health and safety risk for the worker. 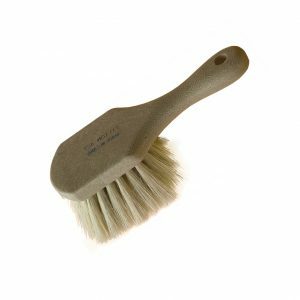 Ergonomic, vine-hugging plastic brush head is designed for most efficient use. 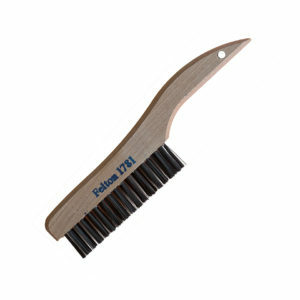 Dense nylon bristles balance strength and longevity while not harming the vine. 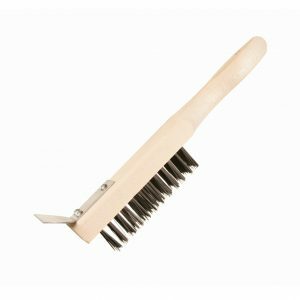 The 16 gauge stainless steel blade on the back of the brush head is ideal for removing thicker shoots. 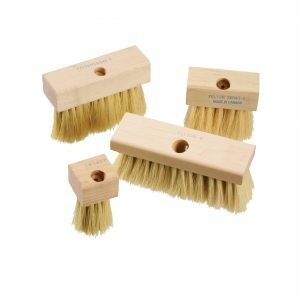 For additional information on our market-leading vine suckering brushes, please read our CurVBrush Documentation Page. Me and my wife own a small vineyard, and using large mechanical solutions for our vine suckering was never really an option for our operation. We have been using traditional methods, but it is not as easy on our bodies as it was 10-20 years ago. A colleague of ours has been using Felton’s vine suckering brushes for a while now, and gave us one to try. What a difference! 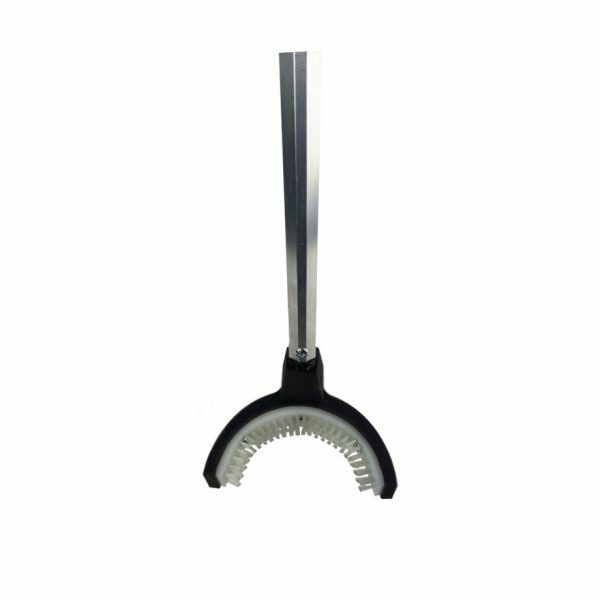 The long shaft is perfect for reaching the suckers without having to bend over and the easily exchangeable brush construction allows us to order replacement brushes without having to replace the tool, savings us a wack of money! Now we can get our job done faster than ever before, without the pain! Thank you Felton! Felton’s curv brush has changed my life! Chemical suckering solutions were never really an option for me, so I have been looking for a good natural mechanical solution that can both boost my speed and save money (without having to invest lots of upfront money into expensive equipment). Each brush lasts me about 25-30 acres and the best part is that once it’s all used up all I do is switch the brush head and its ready to go again!